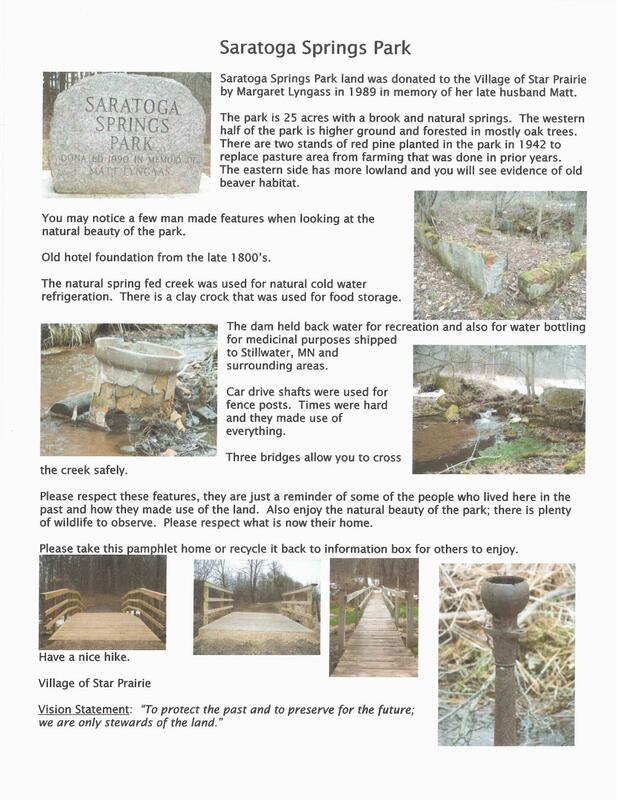 Visit Star Prairie's Beautiful Saratoga Springs Park! Welcome to the Village of Star Prairie! Star Prairie is a village in St. Croix County in the U.S. state of Wisconsin. The village is located along the Apple River on the boundary between the Town of Star Prairie and the Town of Stanton.